Our mission at VSM is to help students grow in their desire to be known by God and develop a passion to make God known. We hope to partner with parents in guiding students with their personal relationship with God by affirming their personal journey and mobilizing their potential so they would become and multiply authentic disciples of Christ. During the second hour on Sunday mornings, we host a combined middle school and high school gathering where we provide a space for worship, prayer, and biblical teaching. We review the teaching in the main service in a small group environment that is led by one of our adult volunteers. One Night is a time for students to connect with new friends, play fun games, and explore our faith in Jesus. We believe that it can only take one night to connect with a small group, grow in your relationship with God, and change your life. We would love to see you there! Middle SCHOOL STUDENTS: Have any plans this Summer? WHO: We will be serving with City Impact, a non-profit organization that mobilizes people to intervene in the city. WHAT: Throughout our weekend experience, we will be partnering with a variety of service projects that minister to the homeless community. WHERE: City Impact is based in the Tenderloin District of San Francisco. We’re going back to the Delta this summer!!! Our awesome students at VSM! A highlight from this summer was definitely Color Wars! A recap video from VSM Houseboats summer camp with Sonshine Ministries on the Delta! Feel free to download the calendar here. Parent Connection: We invite you to subscribe to our monthly email list to receive important updates in our youth ministry. Subscribe to our newsletter here. Volunteer: If you have a heart for God and a heart for students, we invite you to serve with us in VSM. Our small group volunteers go through an application, interview, and screening process. Other volunteer roles include helping with the snack shack, Sunday breakfast, and transportation for special events. 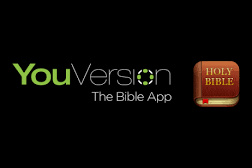 These are free tools that provide videos, audio, and topical devotionals to help you grow in your understanding of the Bible. Check them out on the app store! Stay Connected: Follow us on social media, subscribe to our newsletter, or sign up to receive updates on our Remind text. Parents: Text @parentsvsm to 81010 to subscribe to VSM updates and announcements.